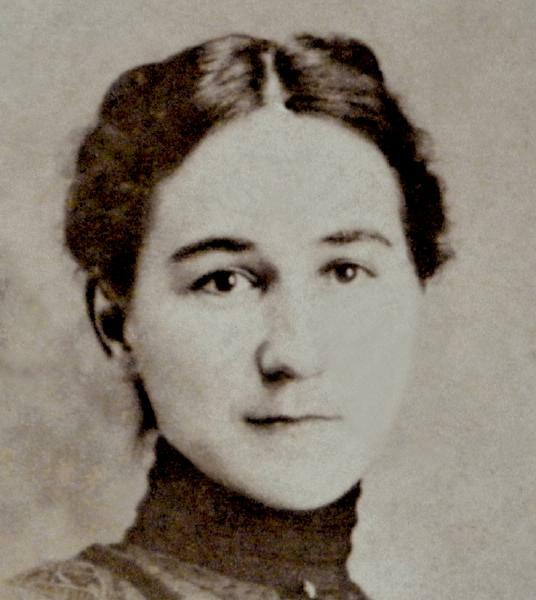 Carrie Keitt Pegues was born on 27 August 1870 in Marlboro County, South Carolina. Rufus Marcellus Pegues and Sara Olivia Pegues appeared in the US federal census of 1 June 1880 in Smithville Township, Marlboro County, South Carolina. Other members of the household included Carrie Keitt Pegues, Frank Wilds Pegues, Olin Marcellus Pegues and Elbert Sanders Pegues. The following appeared on 7 December 1899 in The Anglo-Saxon: Mrs. W. C. Leak entertained a party of young ladies from South Carolina this week. They were Misses Carry Keitt Pegues, Lucy Pegues, Susie Shipp, Marion Godfrey and Sidney Gillespie. Rufus Marcellus Pegues and Sue Sparks Pegues appeared in the US federal census of 1 June 1900 in Smithville Township, Marlboro County, South Carolina, and one domestic servant.. Other members of the household included Carrie Keitt Pegues, Olin Marcellus Pegues, Sarius Olivia Pegues, Lucy Pegues and Rufus W. Pegues. Olin Marcellus Pegues appeared in the US federal census of 15 April 1910 in Smithville Township, Marlboro County, South Carolina. Other members of the household included Carrie Keitt Pegues, Hilliard Evans Pegues. Also in the household was school teacher May G. Coachman (age 24), identified as "companion." She married Winchester C. Smith circa 1910. Winchester C. Smith and Carrie Keitt Pegues appeared in the US federal census of 1 January 1920 in Williston, Barnwell County, South Carolina. Also in the household were Winchester's children Norman (age 38), Gregg (30) & wife Margaret, Winchester (23), Murray (21) and Hattie (17). Winchester C. Smith and Carrie Keitt Pegues appeared in the US federal census of 1 April 1930 in Williston, Barnwell County, South Carolina. Also in the household was Winchester's granddaughter Carrie P. Smith (age 6). Carrie Keitt Pegues became a widow at the 28 May 1932 death of her husband Winchester C. Smith. The following appeared on 29 May 1932 in The State: (Williston, May 28) Dr. Winchester C. Smith, retired physician and farmer of Williston, died at the University hospital in Augusta today following an operation. Dr. Smith was in his 78th year and until the last few years led an active professional and public life. He always took a deep interest in public matters, was formerly a state senator from Barnwell county, a member of the constitutionall convention of 1895 and at his death was president of Barnwell county Farmers and Taxpayers' league. He is survived by his widow, Mrs. Carrie K. P. Smith, five sons and two daughters, Capt. Norman Smith of the United States navy, Lieut. Gregg Smith of the Navy Medical corps, Murray Smith of Santa Barbara, Calif., Ryerson Smith of Winchester, Va., Mrs. Phil Harris of Knoxville, Tenn., Mrs. Chlothilde S. Thompson and W. C. Smith, Jr., of Williston. Funeral arrangements have not yet been announced. Carrie Keitt Pegues appeared in the US federal census of 1 April 1940 in Williston, Barnwell County, South Carolina. Carrie Keitt Pegues died on 27 November 1949 at age 79 in Columbia, Richland County, South Carolina. She was interred at Williston Cemetery, Williston, Barnwell County, South Carolina. The following appeared on 29 November 1949 in the Florence Morning News: (Columbia) Mrs. Carrie Keitt Pegues Smith, 79, of Williston died yesterday at a Columbia Hospital after a long illness. Funeral services will be held at the residence in Williston at 3:30 p. m.
Rear Admiral Norman M. Smith, USN (retired), president of the University of South Carolina, Dr. J. Gregg Smith of Gainesville, Ga., state public service Commissioner Winchester Smith of Williston, Mrs. Clothilde Thompson of Williston, J. Ryerson Smith of Orlando, Fla., Murray Smith of San Diego, Cal., and Mrs. Phil Harris of Spartanburg. Also surviving are a sister, Mrs. Edward McClellan, and two brothers, Elbert and Sarius Pegues, all of Cheraw. The following appeared on 30 November 1949 in The Augusta Chronicle: (Williston, S.C., Nov. 29) Funeral services for Mrs. Winchester C. Smith were held at her residence in Williston this afternoon at 3:30 o'clock with the Rev. M. T. Wharton and the Rev. Walter Johnson officiating. Interment was in the Williston cemetery. Mrs. Smith died at Columbia hospital Monday. She was born August 27, 1870, near Kollock in Marlboro county, the daughter of Major Rufus M. Pegues and Mrs. Sara Pegues. She was a graduate of Columbia college and resided in Marlboro county until she married Dr. Winchester C. Smith of Williston. She was always active in her church work and her club work. She is survived by seven [step]children, Admiral Norman M. Smith of Columbia, Mrs. Clothilde Thompson of Williston, Dr. J. Gregg Smith of Gainesville, Ga; J. Ryerson Smith of Orlando, Fla; Murray Smith of San Diego, Calif; Mrs. Phil Harris of Spartanburg, and Winchester Smith of Williston; also two brothers, Sarius Pegues and E. S. Pegues; and one sister, Mrs. A. E. McClellan, all of Cheraw; ten [step]grandchildren and one [step]great granddaughter.